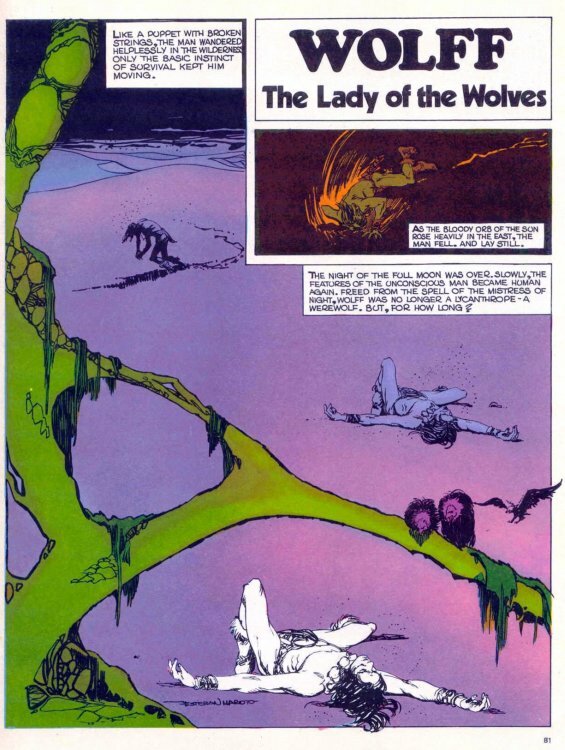 Hero Histories: Reading Room: WOLFF "Lady of the Wolves"
Reading Room: WOLFF "Lady of the Wolves"
...he had been cursed to become a literal version of his name...a lycanthrope! Is Wolff fated to repeat this nightmare whenever the Moon is full? Or is there a way to defeat the curse? 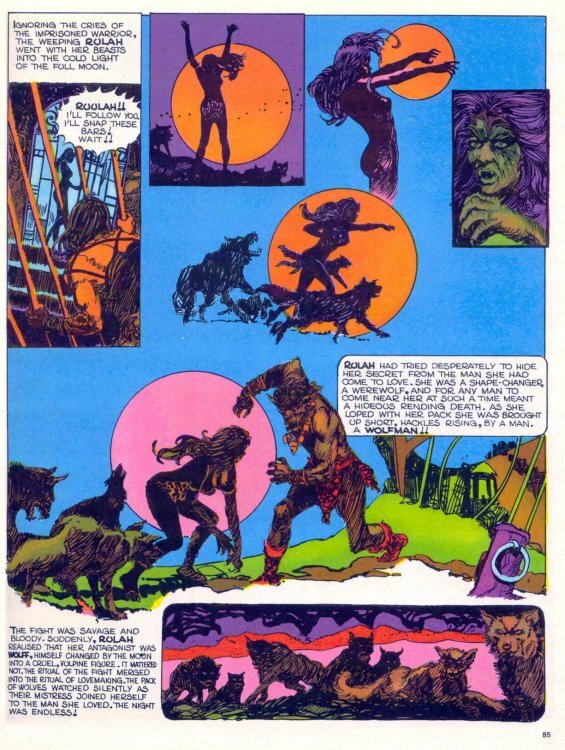 While this chapter of the Wolff saga, written by Luis Gasca (aka Sadko) & Estaban Maroto and illustrated by Maroto from New English Library's Dracula #5 (1972) leaves us hanging, the next chapter will offer an answer...though it might not be one Wolff likes!